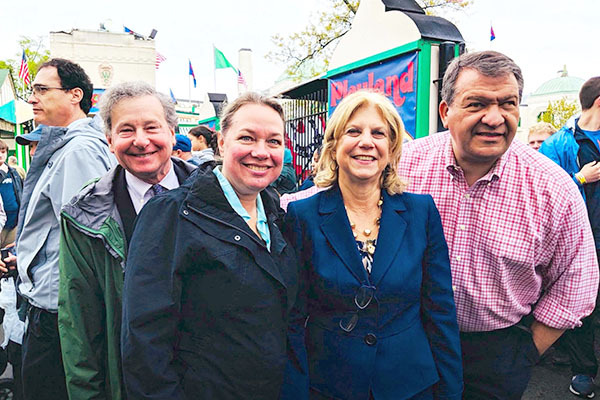 Steve at Playland’s opening day together with Catherine Parker, Shelley Mayer and George Latimer. 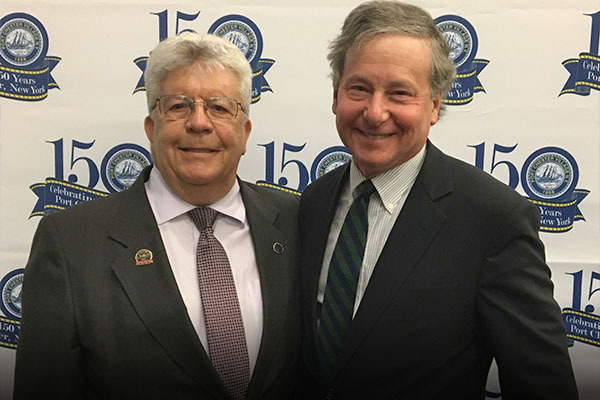 Steve with Fritz Falanka at Port Chester’s 150 Year Birthday Celebration. 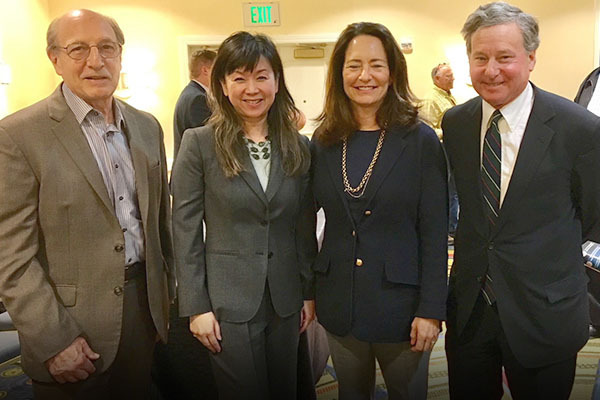 Steve was a panelist along with Ross Pepe of Construction Industry Council and Sabrina Ty and her EFC team at a Water Quality Grant Workshop. 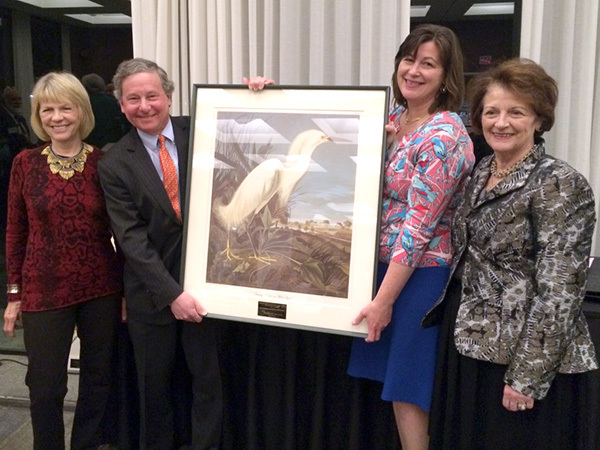 Steve presented Assembly Proclamations at the At Home on the Sound Spring Gala. 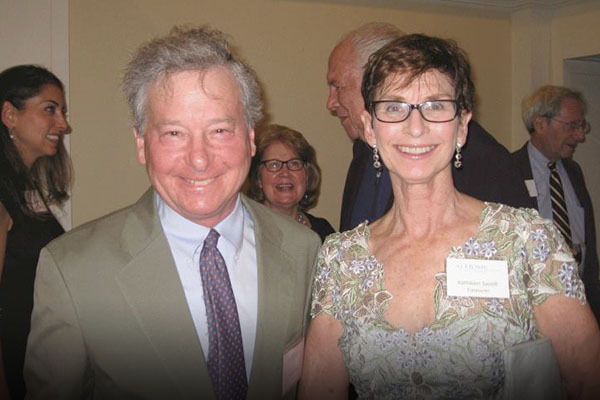 Pictured with At Home Board Member, Kathy Savolt. 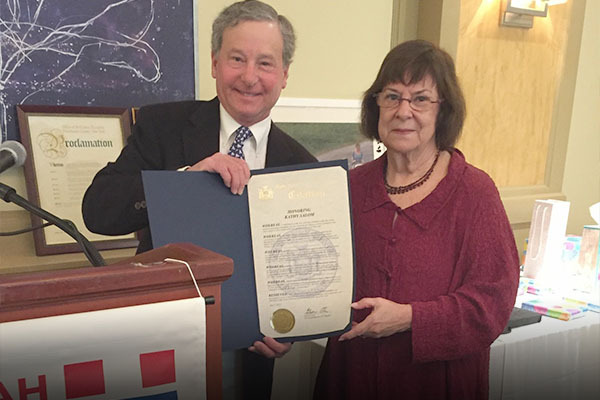 Steve presenting an Assembly Proclamation to Woman of the Year honoree, Kathy Salom, at Kehilla Hadassah’s Annual Donor Luncheon. 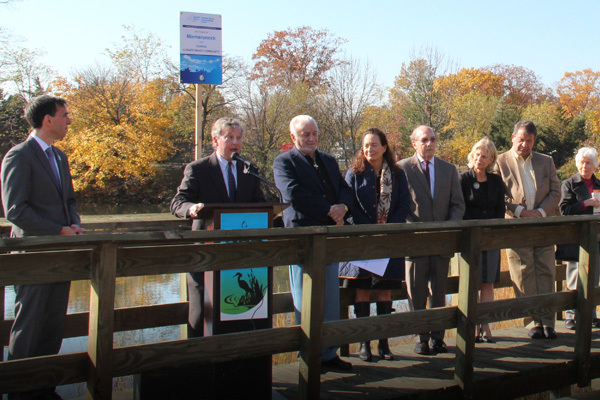 Assembly Members Steve Otis and Amy Paulin, with New Rochelle City officials, announce $250,000 grant for remediation of Beechmont Lake. 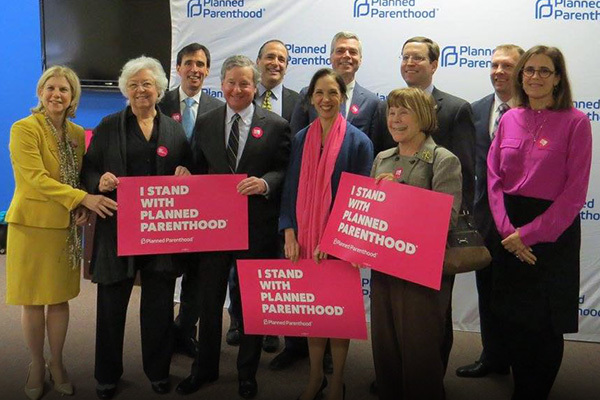 Assemblyman Steve Otis stands with Planned Parenthood - Steve, a long-time supporter, attended and spoke at the "Stand with Planned Parenthood" press conference at their White Plains health center. 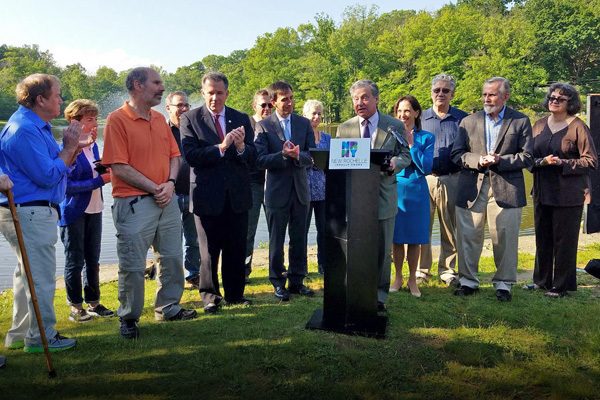 Steve speaks at joint press conference to focus attention on critically needed clean water infrastructure projects in Mamaroneck, New Rochelle and surrounding communities. 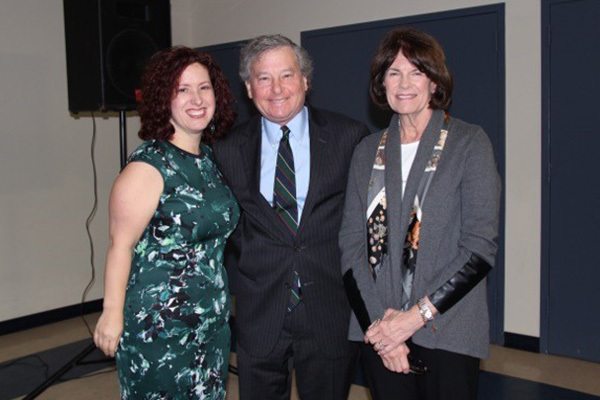 Steve at his and WEDC’s Small Business E-Commerce Tools Forum with Jennifer Shaheen, President of Technology Therapy Group and Anne Janiak Executive Director of WEDC. 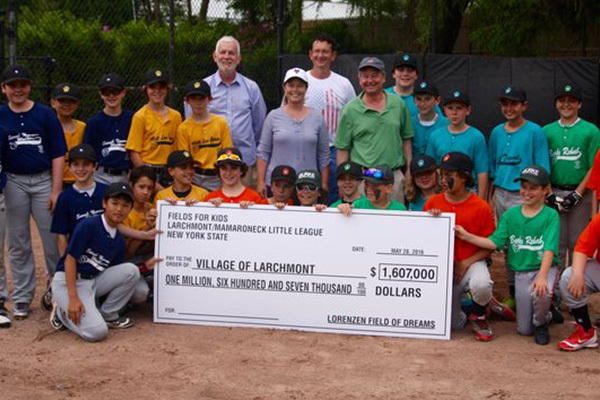 Steve secured a grant to help build Larchmont Ballfields. 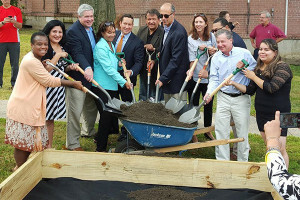 Steve Otis has used his three decades of experience working on local, county, state and federal concerns, including 12 years as Mayor of the City of Rye, to be a successful and effective lawmaker in the State Assembly. 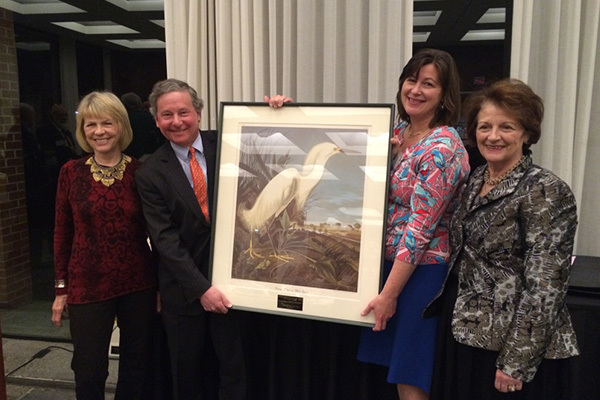 Steve has been a strong advocate for education, local governments, taxpayers and the environment. 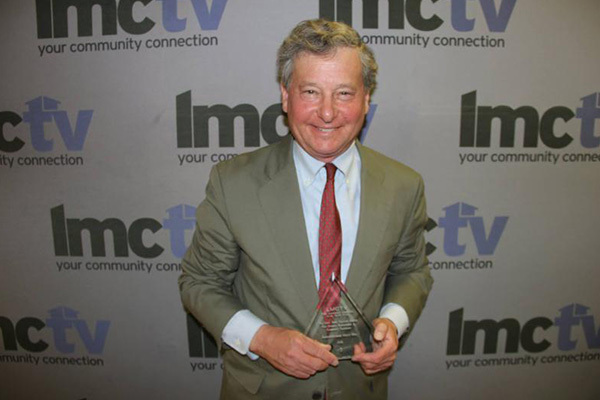 Steve speaks about the “Water Improvement Act”, tax cap and property taxes and the Governor's proposal for free college education. 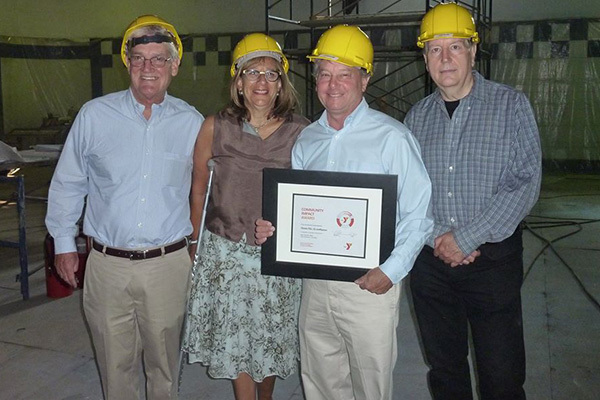 Please click on the Donation button below to make a contribution to Friends of Steve Otis.